For most people, the terms "Hispanic" and "Latino" essentially mean one and the same thing. While there are admittedly a number of similarities between both groups of people, there are enough differences between them that make them as different as any groups can be. This comparison looks at the more significant ones. The term "Hispanic" is used to refer to regions that were historically under Spanish rule. These areas were previously counted under the blanket term “Hispania”, and the term itself is more widely used than the preciously common "Chicano". The term "Latino” on the other hand is derived from an ancient tribe in Italy known as the Latins. The Latins were from what was previously known as Latium, with Rome as its capital. The use of Latino to refer to people of Spanish speaking heritage is derived from the spread of the Roman Empire, which of course used Latin as its primary language. This language later evolved into what are commonly known as the "Romance" languages, a group that includes Italian, Spanish, Portuguese, and French. Among the countries whose people are considered Hispanic are Mexico, some countries in Central America, and many countries in South America. The inhabitants of these countries speak mainly Spanish of course, with the notable exception of Brazil, which was colonized by Portugal, and not by Spain. Aside from Mexico, the other countries commonly considered Hispanic are El Salvador, Guatemala, Panama and other countries located south of the American border. The countries that fall under the Latino category are mostly those that fit into the Hispanic category as well, along with Brazil. In fact, the term "Latin America" is commonly used to refer to countries in which the inhabitants speak the Romance languages including Spanish and Portuguese. Although the term Latino isn't generally considered derogatory, many people feel that it inaccurately covers entire cultures in its spectrum in the same way that Japanese-Americans are still referred to as "Asians." It is therefore generally considered more appropriate to refer to persons of Latino heritage by their particular country of origin. 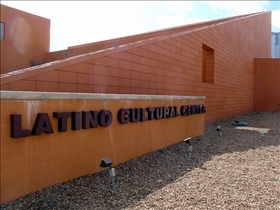 The term Hispanic gained widespread acceptance in the United States after the government began using it to refer to people of Spanish heritage in forms and censuses. The term has since come into common use and widespread acceptance by both Hispanics and non-Hispanics. It was in the 20's and 50's that the term "Latin American" came into widespread use in the United States, mostly as a result of people of Mexican heritage born in the United States preferring a term that more accurately reflected their background. Today, the term is used to refer to these people as well as to the inhabitants of the countries mentioned previously. Which group describes Spanish descendents? Always wondered what the difference was. So I guess the culture is Latino?